What can Senate learn from Anita Hill hearings? Dr. Christine Blasey Ford has had her credibility and motivations questioned since she came forward publicly with allegations that Supreme Court nominee Brett Kavanaugh sexually assaulted her when he was 17-years-old and she was 15-years-old. Republican supporters of Kavanaugh have pointed to the timing of Ford's allegations going public, and questioned whether Kavanaugh, a married man in his fifties, should be judged for his behavior as a teenager. However, Ford's defenders argue that she should be heard, and that Kavanaugh's alleged behavior as a teenager was relevant to his confirmation because it showed his character. Ford said in an interview with the Washington Post Sunday that she was previously reluctant to come forward with her story because she believed that it would not affect his confirmation. "Why suffer through the annihilation if it's not going to matter?" Ford said. She said that the alleged incident "derailed" her ability to forge relationships for years. Ford's allegations against Kavanaugh have been compared to allegations made by Anita Hill in 1991, who came forward with claims that then-Supreme Court nominee Clarence Thomas had sexually harassed her. Hill was grilled by the Senate Judiciary Committee, which at the time was entirely male, and Thomas was narrowly confirmed to the Supreme Court. Hill wrote in the New York Times Tuesday that Kavanaugh's hearings should not be rushed, and that an independent, neutral body should investigate Ford's claims. "Today, the public expects better from our government than we got in 1991, when our representatives performed in ways that gave employers permission to mishandle workplace harassment complaints throughout the following decades," Hill wrote. "That the Senate Judiciary Committee still lacks a protocol for vetting sexual harassment and assault claims that surface during a confirmation hearing suggests that the committee has learned little from the Thomas hearing, much less the more recent #MeToo movement." Democrats on the Senate Judiciary Committee have urged for hearings to be delayed in light of these allegations, and questioned why Committee Chair Chuck Grassley had chosen Kavanaugh and Ford as the only two witnesses to testify. "Senator Grassley must postpone the vote on Judge Kavanaugh until at the very least these very serious and credible allegations are thoroughly investigated," Senate Minority Leader Chuck Schumer said on Monday. "For too long when women have made these allegations of abuse, they have been ignored. That cannot, cannot happen in this case." "This is so patently unfair to her, and what really bothers me and gets me so angry is that the White House is victimizing this person," Sen. Mazie Hirono said about Ford on Tuesday. "She is under absolutely no obligation to participate in a smearing of her and her family." She also criticized men's reactions to Ford's allegations, implicitly attacking the Republican men on the Judiciary Committee. "Guess who's really perpetuating all these kinds of actions? It's the men," Hirono said. "I just want to say to the men of this country: just shut up and step up. Do the right thing, for a change." 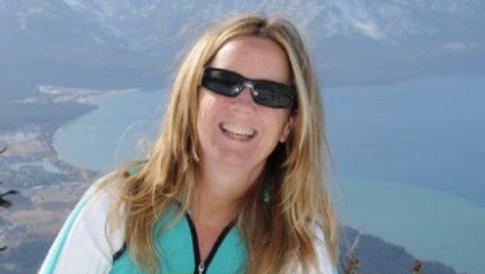 Ford has not responded to invitations by Grassley to testify before the Senate on Monday.